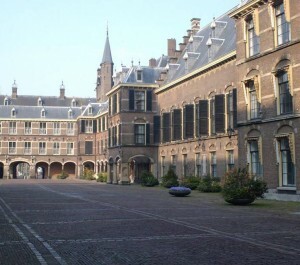 THE HAGUE, WILLEMSTAD - Part of the Dutch Lower House of Parliament, has serious concerns about rising debt and loans from Aruba, Curaçao and Sint Maarten. The finances of those countries are not good enough to qualify for subsidized loans, while the Dutch government has given permission for these loans. This issue was discussed today during a meeting of the Parliamentary Committee for Kingdom Relations and Minister Ronald Plasterk, who is responsible for the Ministry for Kingdom Relations. Curaçao and Sint Maarten can only borrow money, with favorable interest, for investment through the Dutch Government if the Board of Financial Supervision (CFT) gives approval for it. The CFT gives the countries permission now because it has enough confidence in their financial situation. The MPs from VVD, SP and PVV wonder whether CFT’s findings can be sufficiently verified and that the government did not blindly sail on their judgment. In the CFT report, it can be derived that the countries do not meet all the financial requirements imposed by the Kingdom Government. The rising debt of Aruba and the investments that the country is making a second point of discussion. Minister Plasterk recognizes this concern and indicates why he consults with Aruba about a voluntary form of financial supervision to prevent problems in the future. The country should begin in two years with the reduction of the national debt, which is expected to be around 80 percent of the gross national product (GNP) by that time. This was agreed following a recommendation from the International Monetary Fund (IMF).